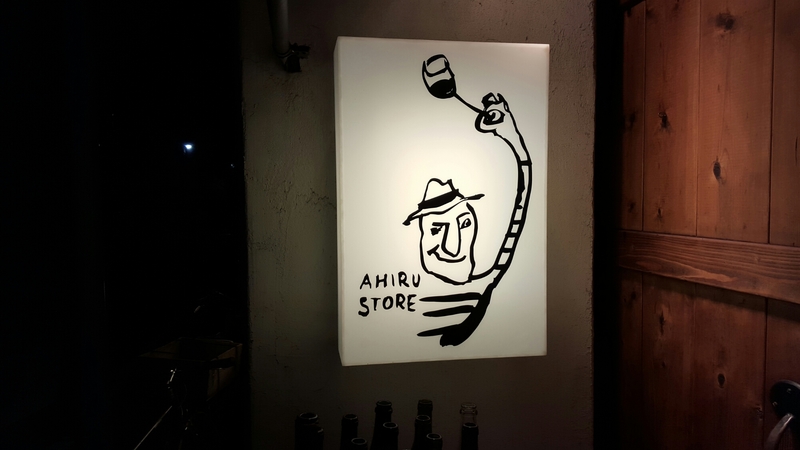 Wineweek 49: Lost in Translation? Greetings from Tokyo! This will be a short picture post as always from the road. Looking at how hectic everything has been, don’t be expecting much of “intelligent” writing before I am back in Sweden. However, great to share these small memories and moments with you! It has been ten years since I was here last. Much has changed: both Tokyo and I. I have vague memories of the amazing race to see all the sites as well as some wild partying in Roppongi. This time, ten years later, Me and M, we have been doing what we do best, eating and drinking. Walking from one café or restaurant to another. 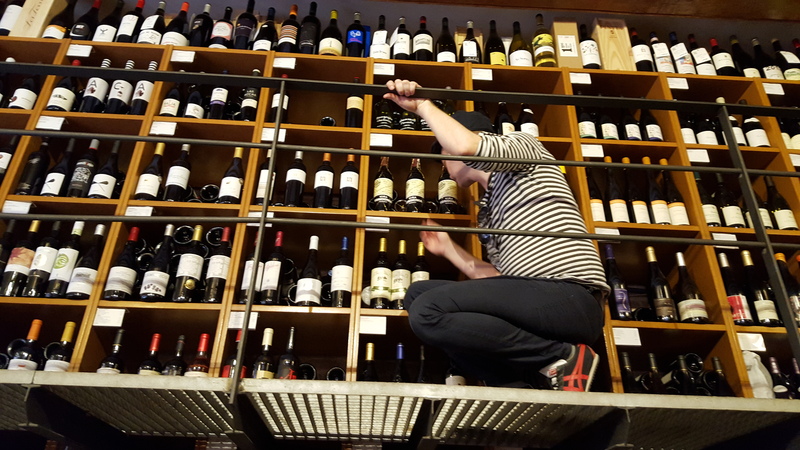 We have found some great places, also wine bars that are really interesting. We even tried some Japanese white wine. 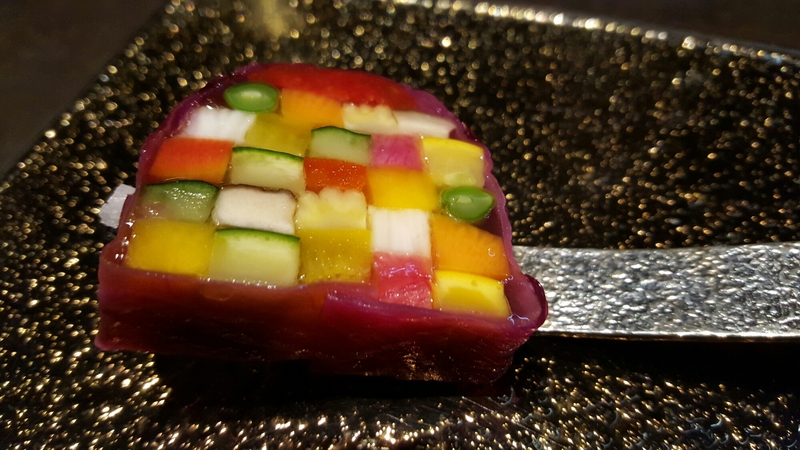 The food scene here in Tokyo is amazing. 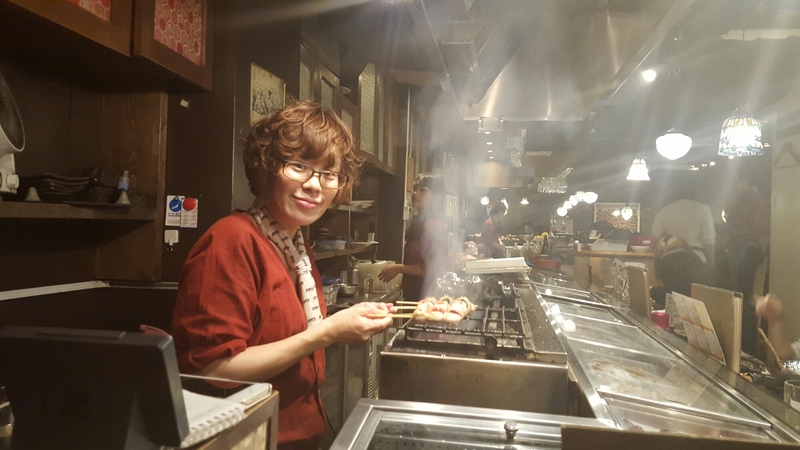 Can you believe it that Tokyo has more Michelin-stars that the whole of France? I can! White truffle with some sweet wine. A first time for everything.. I have finally realized why I am always so inclined to start my weekly posts with the weather. It is because I have now lived two years in Stockholm and I am becoming more Swedish by the day. How do I come to this conclusion? This week I was drafting a post for my travel site (www.tripsteri.fi) about how to talk with a swede. For that purpose, I also asked about five to ten of my friends and colleagues about topics they discuss both with friends and strangers. The first thing on everyone’s lips was the weather. I even think someone made a joke that the Swedes have become the British of the north. The main content of my writing was about the discussion topics in Sweden being very general, to make sure you do not offend anyone. If one wants to discuss something serious, like politics, one must make a careful note in the start of the conversation about being slightly bothered regarding serious discussions being such a taboo. This way you make it clear you know what you are getting into. Well, wine is not a serious topic. At least it is not for me. The Swedes I talk to about wine always make a note though, that they know nothing about it. This is also a warm-up to make sure I do not take the discussion too seriously (and do not get offended). Every country have their rituals. This week I have unfortunately been sick. I have caught the flu. My throat is very sore, and I feel drowsy. 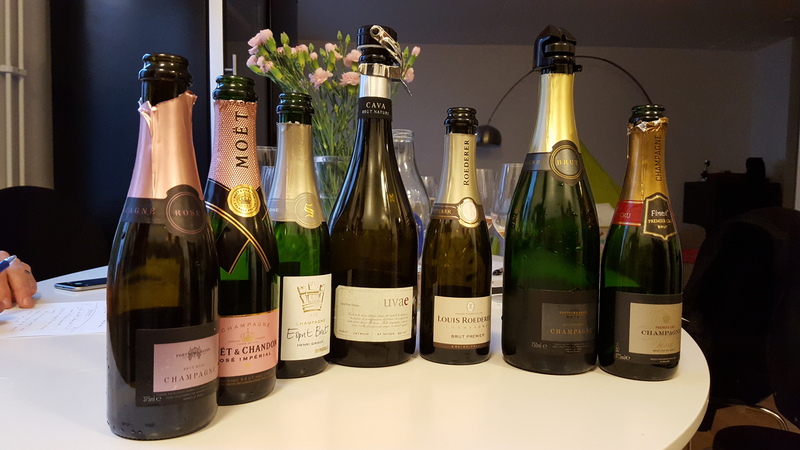 Luckily I have not lost that much of my palate, as we had our customer champagne tasting on Saturday. We invited all of our customers who ordered at our spring tasting to sample a range of private label bubblies from the UK. Now, I will write a separate post on the tasting. 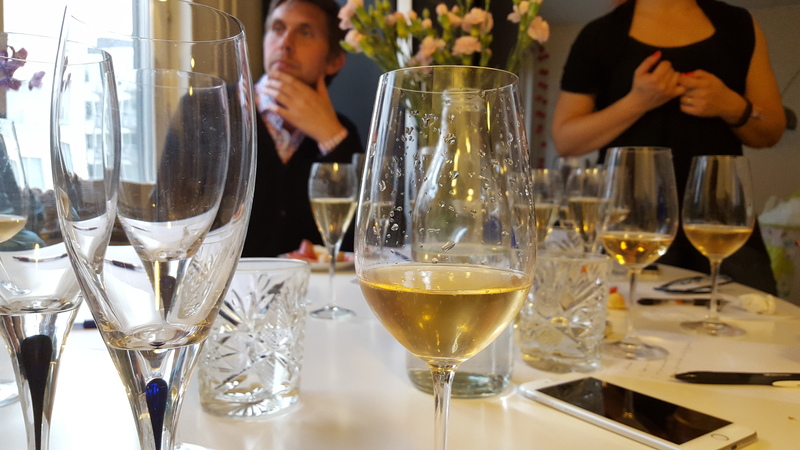 But just as a quick sum-up: we tasted seven wines, four of them were private label champagnes, two of them were from the original producers, and one was not a champagne at all, it was a cava (nobody guessed that though). We did the tasting blind to be able to have as objective results as possible. The coming week will be very exciting. We will be flying to Tokyo for a five day food trip. Why Tokyo? The currency exchange rate is right now very favorable. We will be doing quite many nice restaurants and all of them for a fairly affordable price. 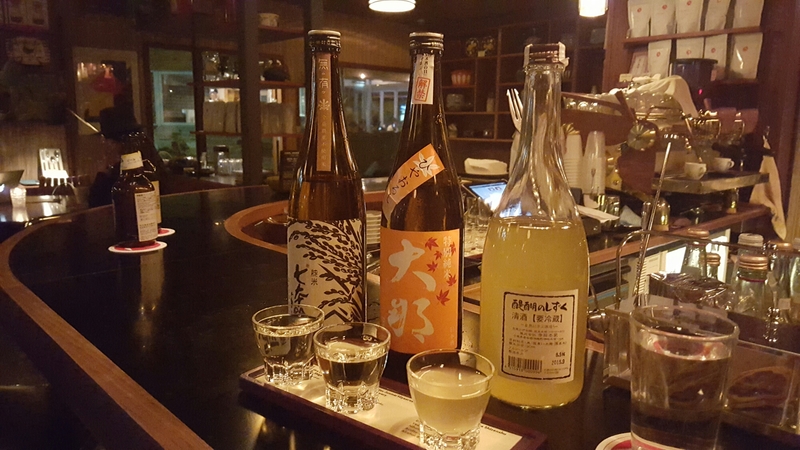 For the drinks section, we will be trying out some local rice wine, Sake. So if you have any Sake tips, please let me know. We will of course have a look around for wine as well (as always), but I really doubt that it is that interesting. Who knows, I have been surprised before. We have quite a hectic schedule the coming week, so I will probably not be writing that much. Let’s see what I can conjure during the long flight from Copenhagen. And of course I will be posting photos. October is not the most beautiful month of the year, but Tokyo is so colorful that it really doesn’t matter. That was all the wine action for this week. Next time I will be posting, it will be from the land of the rising sun. Have a great week you all! When asked which cava was the best I tasted all week, I don’t know what to answer. Ramon, the owner of Jaume Giró i Giró cavas phrased it in a good way: can you really say which one of your children you love the most? I only have one, but I can see his point. 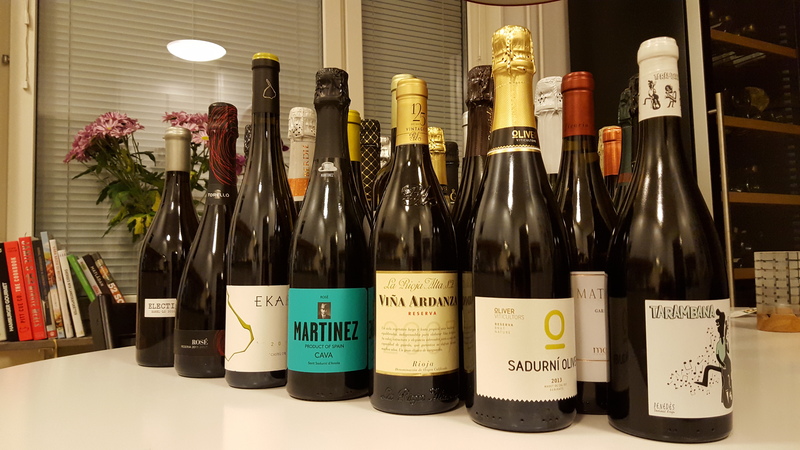 During the week in Spain, we tasted perhaps around 50 different cavas, so instead of announcing a winner I thought I would mention a few new acquaintances that stood out. 1. Torelló Rose Brut Reserva. This cava is a blend of Garnacha and Pinot Noir. 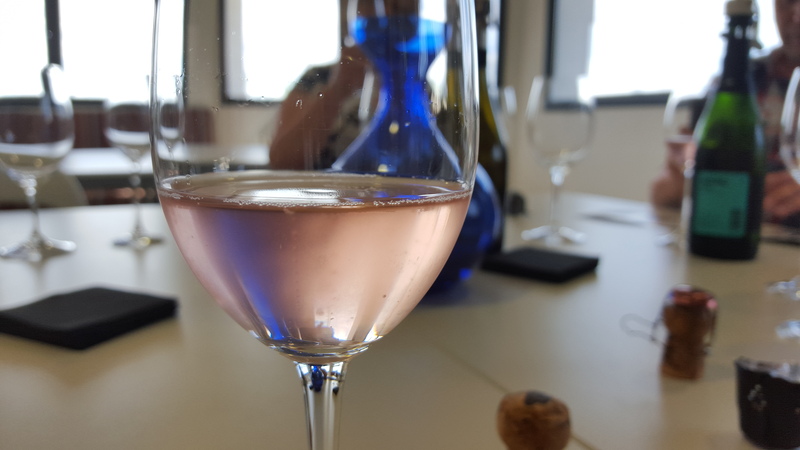 It is a Catalan style Rose: deep in color and rich with taste. 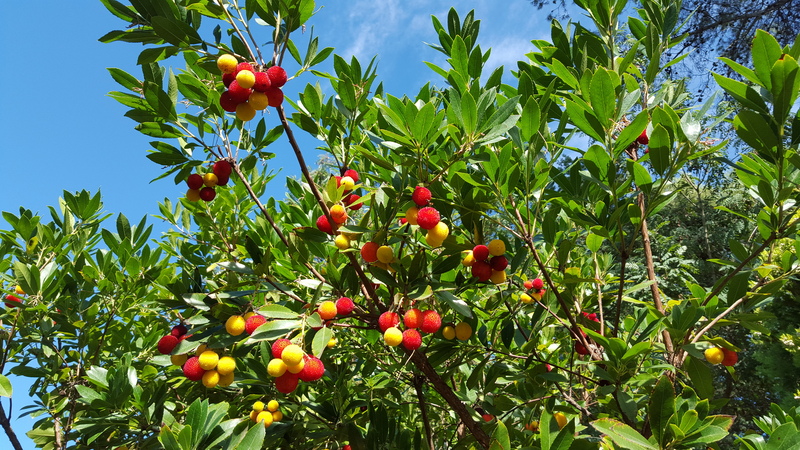 Taste is full with red berries. The Cava is not sweet at all. One of the best rose Cavas I have tasted. 2. Juve y Camps 100% Xarello Essential. I am sure that it has become clear that I am a fan of the Xarello grape. It gives a full bodied and aromatic cava with citrus fruits and mineral freshness. A perfect companion on a hot day. 3. 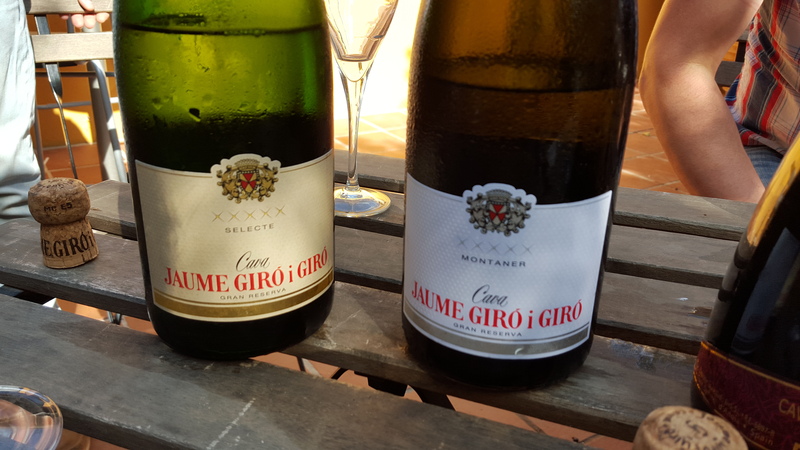 Jaume Giró i Giró Montaner Gran Reserva. The Montaner is a blend of the cava trio: Xarello, Macabeo and Parellada, and Chardonnay. The nose has nice aromas of peach and honey melon. 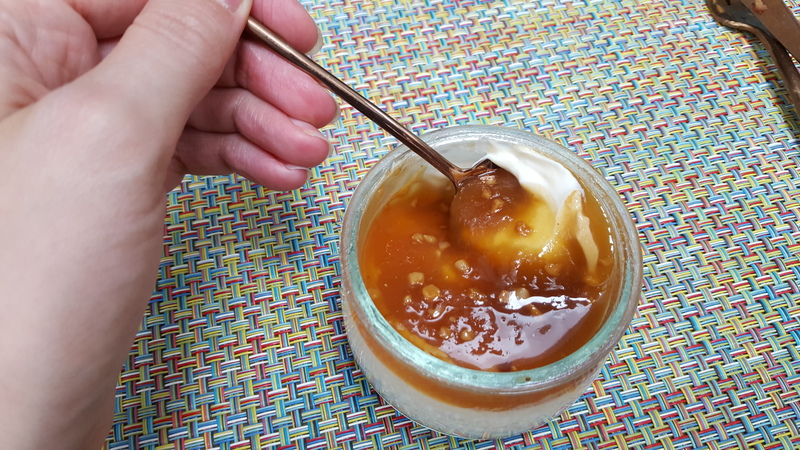 The taste has light acidity with hints of brioche and a nice creamy mouthfeel. Truly a stunning cava! 4. Mestres Visol 2007 Brut Nature. The house of Mestres has a distinct style. They are charismatic with an oxidized flavor and a touch of oak. The Visol has aromas of dried fruits, brioche and roasted nuts. 5. 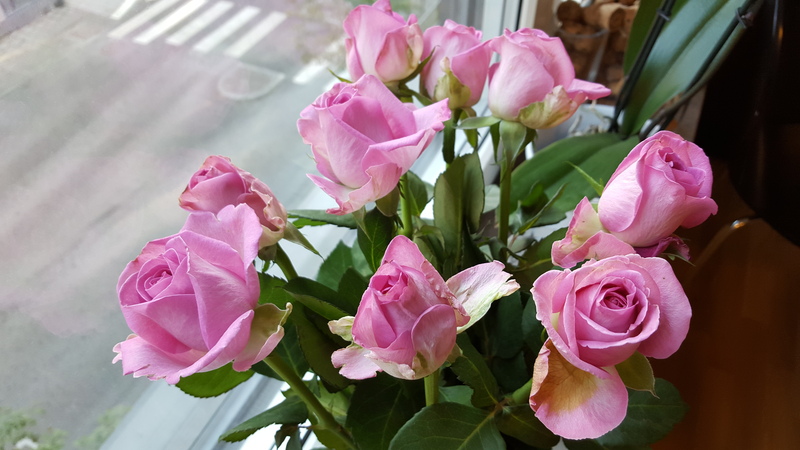 Martinez Rose (by Rimats Cava). Last year when we visited Rimarts, they had already sold out of their special edition Rose, Martinez. This year, we were well on time to taste the new harvest. The Martinez is also a blend of Garnacha and Pinot Noir. The color is absolutely stunning, light ruby pink. It is a young cava with extreme freshness and clean taste. It is very seldom that a Rose is made as a Brut Nature (no dosage). I am not sure if I would pick it as a rose if I were blind tasting (in dark glasses). Jaume Giró i Giró really impressed with their selection. Finally tasting the the Martinez Rose. Only waited 6 months.. Bonus: Pere Mata Brut Nature Gran Reserva. 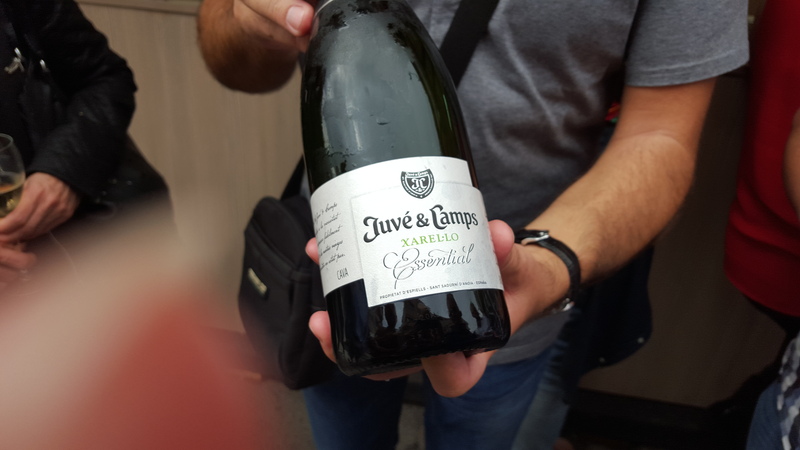 When tasting this cava, both myself and M were amazed. The taste was fresh with white fruits, burned butter and brioche, and the mouthfeel was creamy. We had tasted quite many cavas during the week with nice aromas enticed by long aging, but this one stood out as very clean. 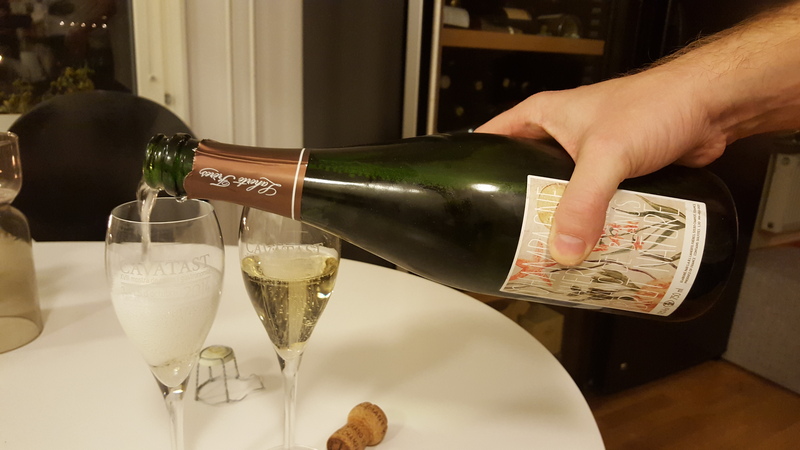 The real surprise came when we heard that this cava was made with no Chardonnay. It is seldom that the cava trio produces such deep toasty notes. There! Some cavas to put on the shopping list. The more I learn about cava, the more I am convinced that it has a bright future as a premium choice for bubbly. When I started this blog, it was very much just for me. It still is, but it has also brought me some great opportunities to meet new people. In the beginning of the summer I was contacted by Raidel. 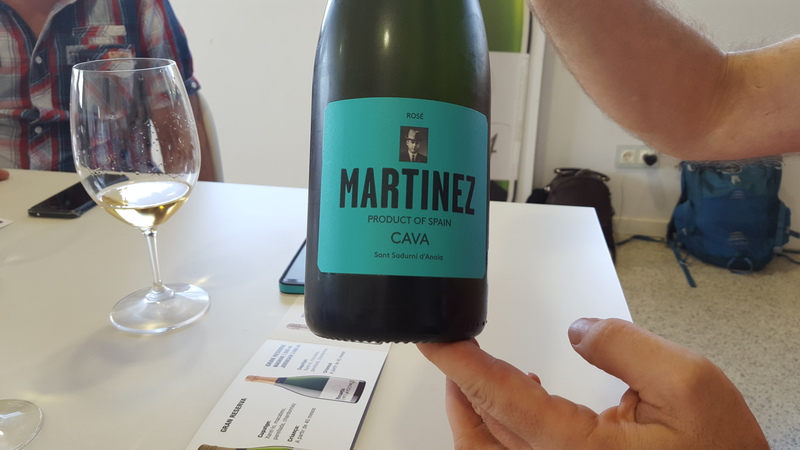 He is a fellow cavalover and has been actively marketing cava as a premium bubbly in the UK. 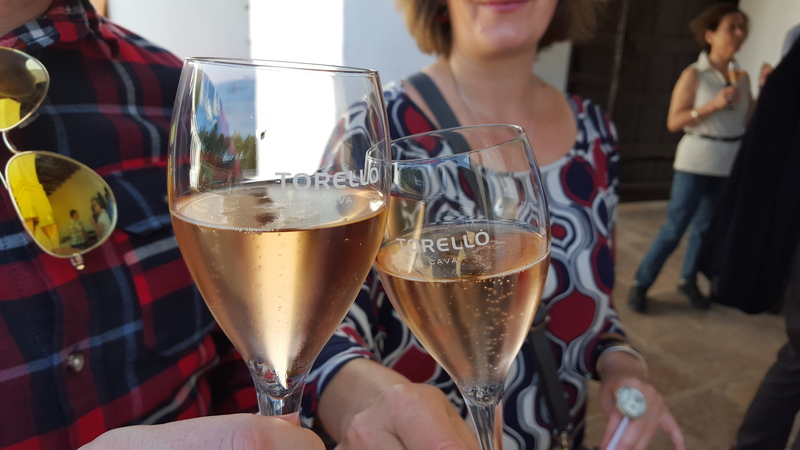 We agreed to meet at Cavatast, and Raidel also introduced us to a new cava acquaintance, Torelló. 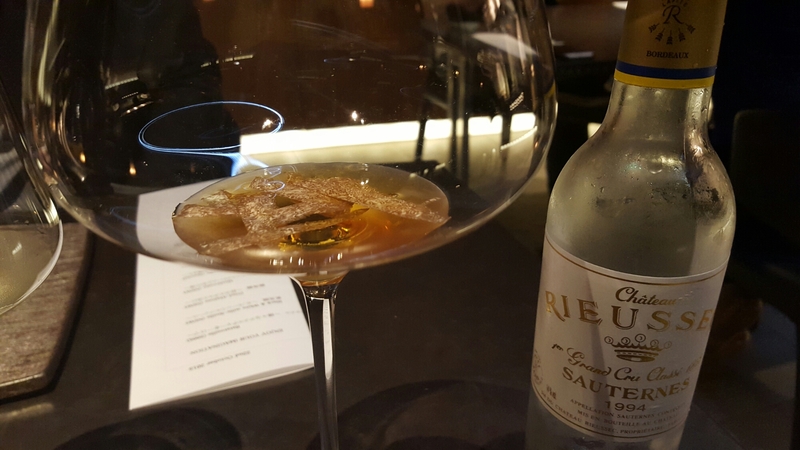 We had tasted one fo the Torelló cavas before, their 225 (lightly oaked) gran reserva at Jason Athertons Esquina all the way in Singapore. 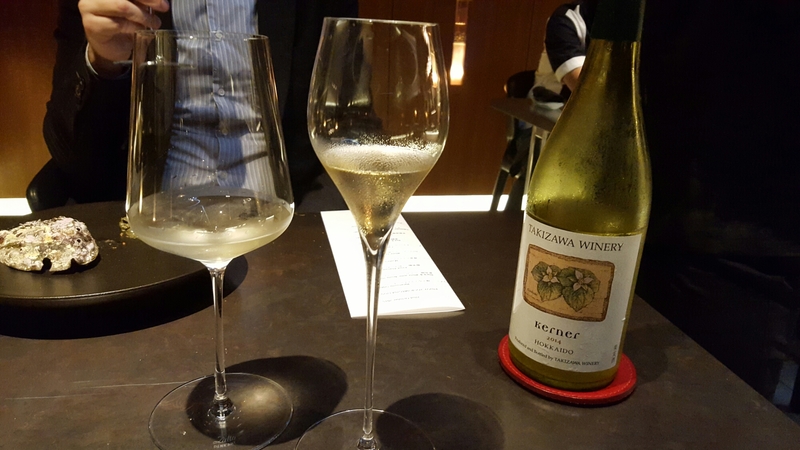 If you followed this blog when we were in Asia last winter, you might have noticed that we were very deprived of good bubbly, so a glass of the 225 at that moment felt like a gift from God. So we were very excited to receive an invite to the Torelló family estate on the week following cavatast. This producer had made an impression, and we were very curious to find out more. 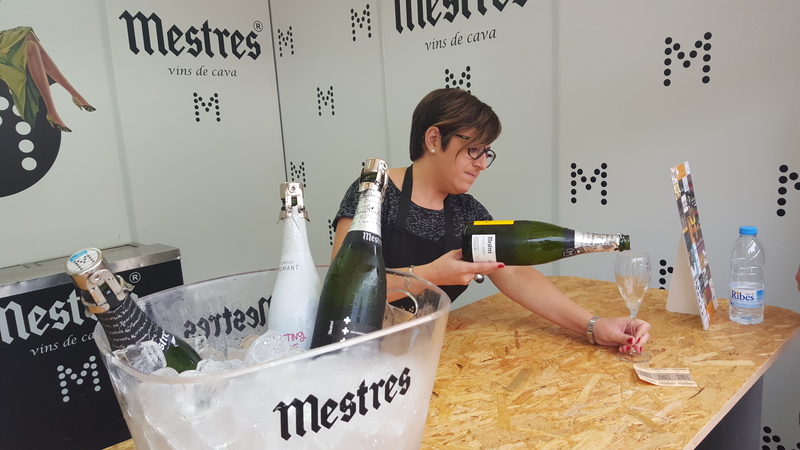 We were welcomed to the estate by Rosó, the new Export manager for Torelló cava. 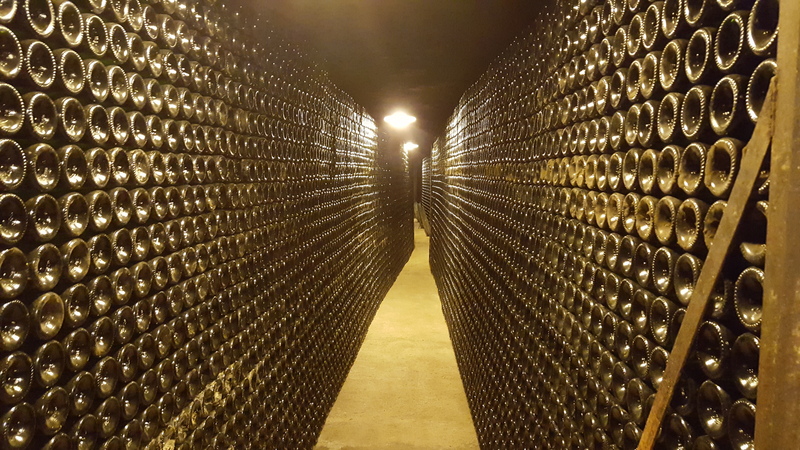 Born in Sant Sadurni, Rosó has long experience working with the “Champagne of Spain” (eg at the Institut del Cava). She gave us a quick tour of the facilities and an overview of the Can Martí estate that is not only the winery but also partially the family home. The Torellós have an impressive history dating back to the 13 hundreds. The day continued with a tour at the Torelló cellars. Tony Torelló, who is not only a Director at Torelló cava but also the president of the Confraria del Cava (the brotherhood of cava), explained the production process and the philosophy of the house. The emphasis is clearly on premium cava. A good product will sell its self. 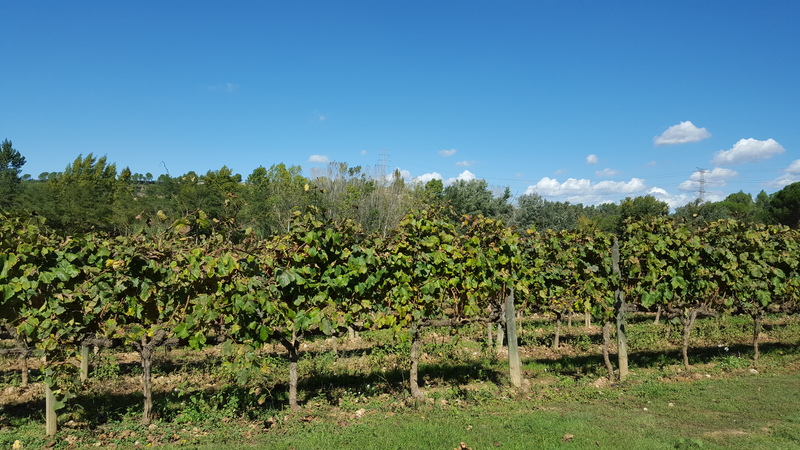 Torelló has high emphasis on the care given to the land and vines: grooming and picking by hand. Thus Torelló is one of the few houses that use only their own grapes. I have gone through quite many tours of cava production, but the part that stood out most for me was how the coupage (blend) was made. Perhaps you cannot call it a coupage at all. All the grapes going to the cava are pressed together, kind of like what one would do with a field blend. So all the varietals are in together already from the first fermentation. Torelló has also invested in the technology for soft pressing and uses mainly the free run juice in its production. 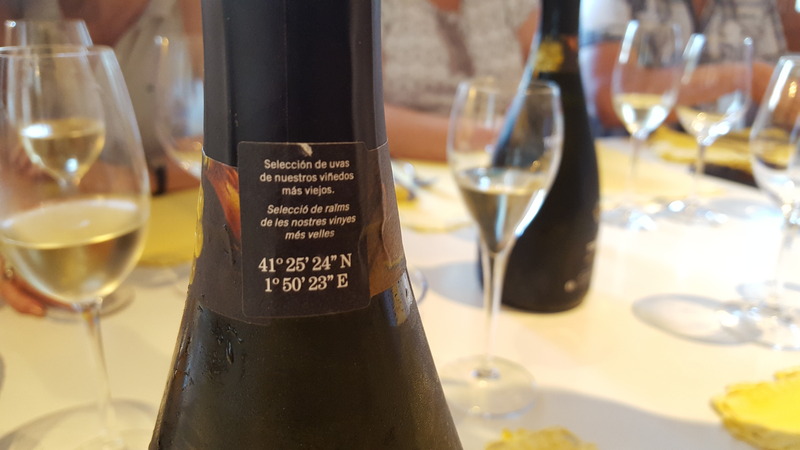 The emphasis was in using verietals indigenous to Penedes. The use of Chardonnay was low in the selection. After the tour we were treated to a nice Catalan lunch: traditional Catalan tomato bread, cold cuts, cheese and omelette as well as a warm dish of pork fillet (so good). 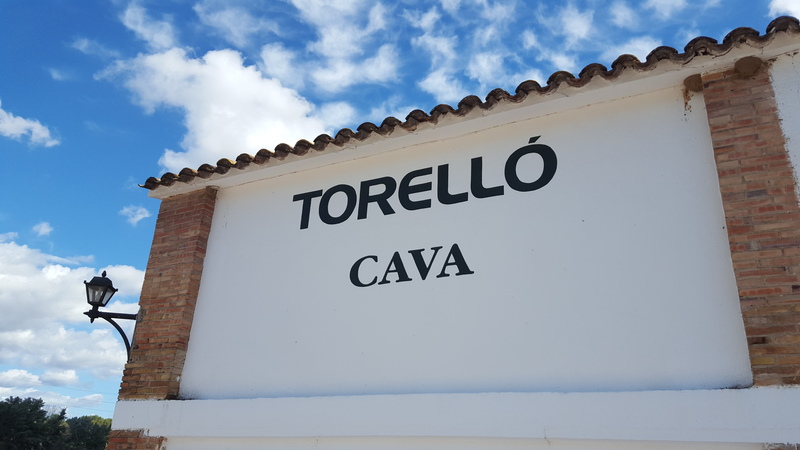 We also sampled “a few” of the Torello cavas to get a good taste for the selection. We started off with the entry level selection: the light Pal.lìd Rose Brut Reserva and the Torello Brut Reserva. 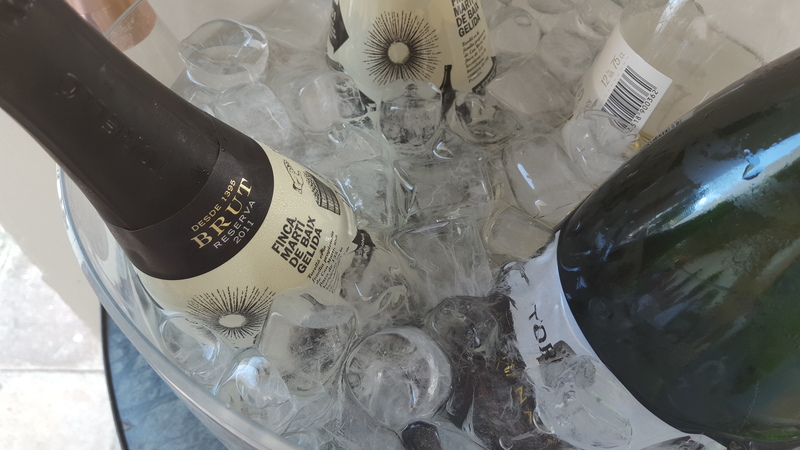 It was a hot day, so the cold cava was more than welcome. There was also some white wine available in the ice bucket, but I was so consumed by the food that I forgot about it (silly me). 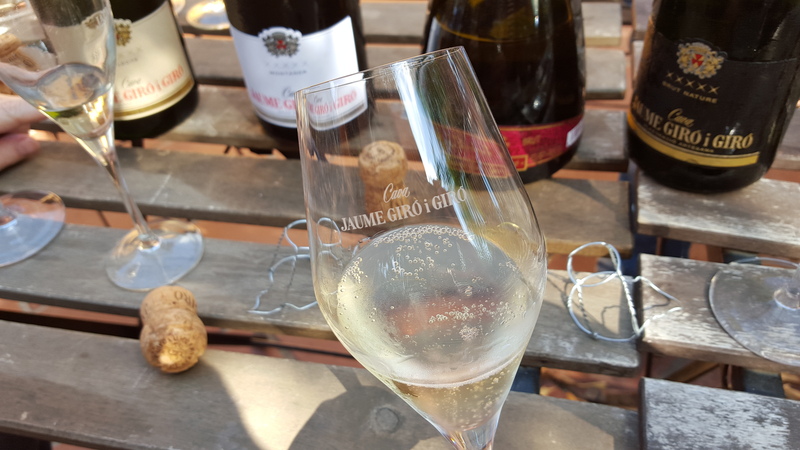 We also sampled some of the more premium products: the Grand Torelló Brut Nature Gran Reserva, the 225 Brut Nature Gran Reserva (aged in barrel), the Rose Brut Reserva and the Soto Special Edition Brut Gran Reserva (with chardonnay). We also sampled the Raimonda red wine, a blend of Cabernet Sauvignon and Merlot. It was lighter than expected, so very refreshing in the hot weather. All in all the wines were excellent, however the 225 remains my favorite even though I am seldom a fan of oak. The day ended with coffees and an interesting discussion on how cava is perceived in each market (there were representatives from UK, Denmark and Germany) and how cava could be promoted for people to understand its full potential. A very interesting discussion with like-minded cavalovers and experts n their own country. I must say we were very impressed by the quality of Torelló cavas in general. It is definitely something we could imagine having in our selection some day. Right now it seems like there is a distributor already for Sweden, but lets see, you never know what happens. We will most definitely keep an eye on the house. Even if we cannot distribute the Torelló cavas at the moment, we can most definitely drink them. A great big thank you to Raidel, who introduced us to Torelló. And of course to our new friends Rosó and Tony, who arranged this great day and introduction to the estate. We feel blessed that we were treated to such a lovely visit! If you wish to visit the estate, Torelló opens their winery for guests once a month. You can check the dates and instructions on www.torello.com. Skol! To Torelló. May we soon meet again! When it comes to brunches, I am a fan. Even though I always eat too much and come out feeling guilty and nauseous. I don’t know what it is that I am so fond of really. 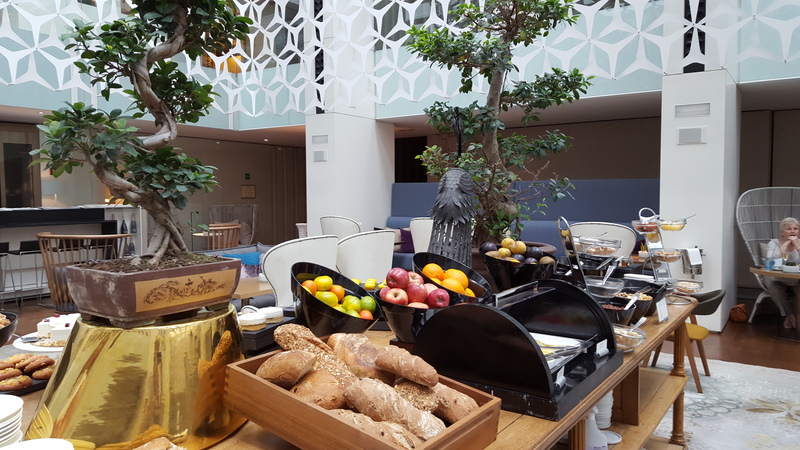 The food is seldom the best quality, buffets are not my thing (as other people tend to touch the food) and I don’t really appreciate the ‘all you can eat’ concept. I just like brunches, that’s it. And the sparkling brunch at the Mandarin Oriental was so good that none of the above negative comments had any ground. 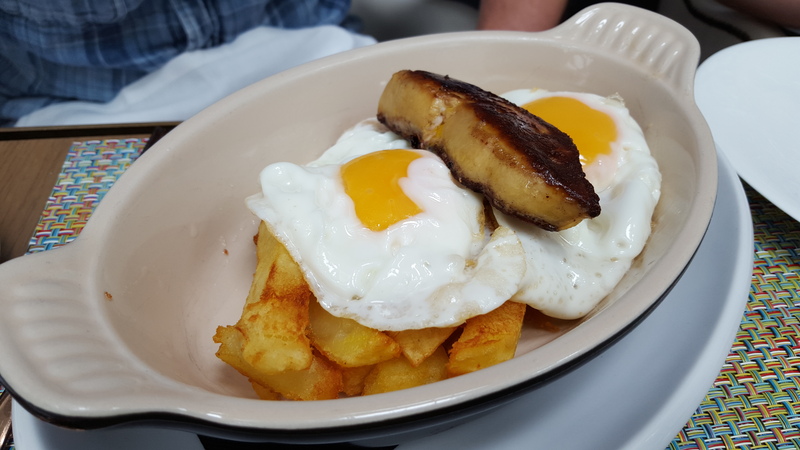 If there is one brunch in Barcelona (or the world) you should try, it is this one. Lets start with the wines. 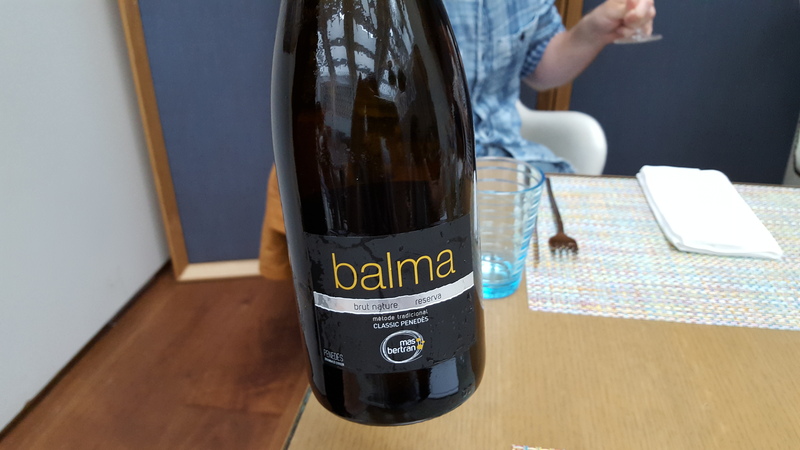 The brunch includes a glass of Balma cava. This was a new acquaintance for me and a pleasant one. The cava was quite young and fresh with notes of stone fruit (like peach) and citrus. The bubbles were not aggressive and the mouth-feel had some creaminess. I would say it was nothing exceptional, but a nice aperitif. The only negative point was that the waiter clearly poured very unevenly for the whole group (we were 11) and I ended up with a significantly smaller glass than my friends. I switched glasses with M. For an extra cost, one could also choose to have champagne. The house champagne was Billecart Salmon, which is not that exciting that I would have felt like paying for it. 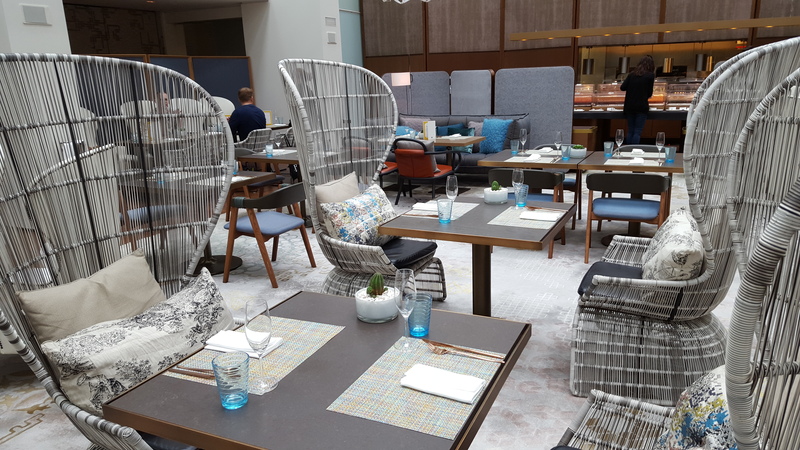 For starters there were two different buffets: one with cold cuts, salads and Asian dishes, like sushi and gyozas, and one with bread, yogurt and muesli. I especially enjoyed the small truffle sausages. Mains could be ordered from the menu. We had a perfectly cooked sirloin steak, egg and foie grass, surf and turf rice and eggs Benedict with salmon. The food was well made and the steak was perhaps one of the best pieces of meat on the whole trip. Sadly the service did not do justice to the great food. Some dishes were forgotten and when we ordered some more steaks (the first one was so good that we had to have more), they came out well done (MURDER). We had to send a steak back two times until we got one medium rare again. Luckily we were not in a hurry, otherwise I would have been quite annoyed. The great thing about the main dishes is that you can order as many as you want. Moving on to desserts, the selection was quite astounding. 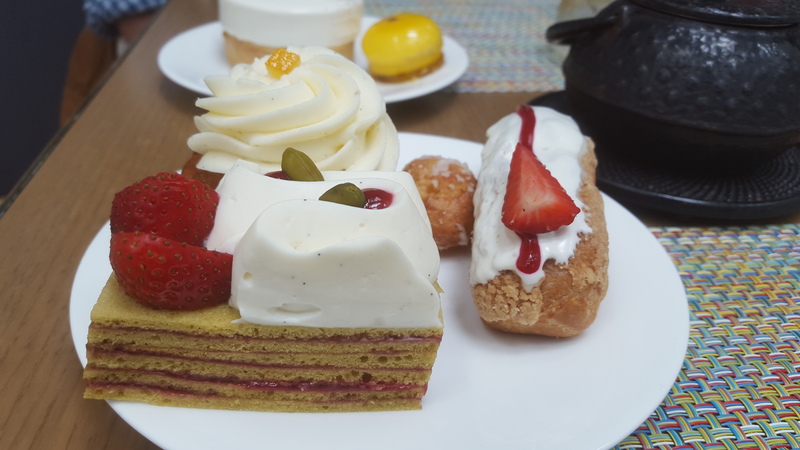 A whole buffet of cakes and pastries, all very beautiful and inviting. We ended up tasting quite many, and of course feeling nauseous afterwards. Some of the cakes were not that exciting but others were excellent. Traditional in style I would say, with a lot of ingredients like chocolate, strawberries and vanilla, apple pie and cheesecake. So perhaps there could be some more innovation to make it even better. I was also missing some small nibbles like pralines or nougat, something small with coffee. Beautiful cakes at the table. The brunch also included all the tea and coffee one could drink. 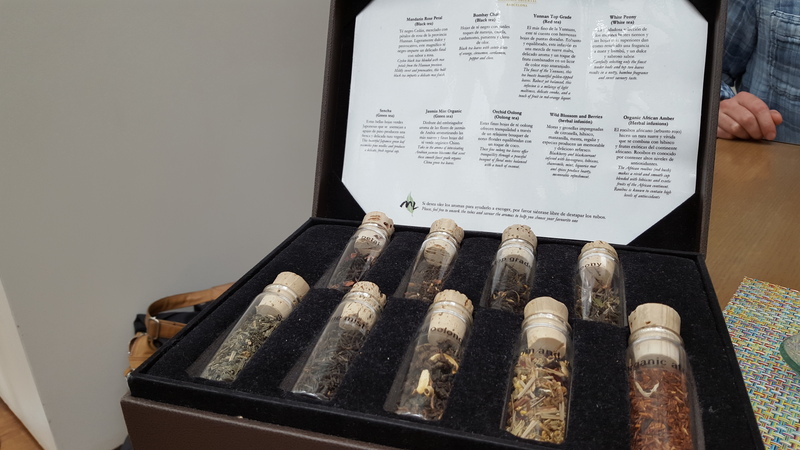 The selection of teas was better than your average cafe, however the quality was quite mediocre. I will not even go into the coffee, as it was Italian dark roast. But this is what you can expect at a hotel. All in all I think the brunch was great. One of the best I have ever had from a food point of view. The Mandarin Oriental is really beautiful and you feel very luxurious but relaxed. The service was ,however, poor. 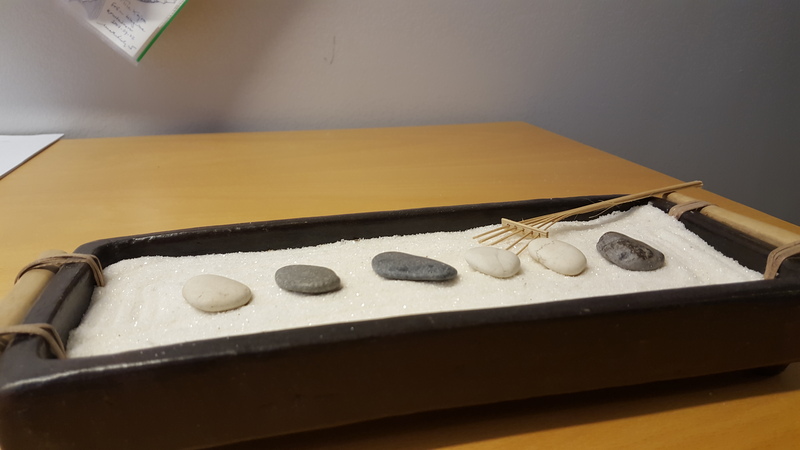 Friendly, but the staff made way too many mistakes for what one expects at a five star hotel. It was clearly the B (or C) team serving that day. We had to send quite many dishes back as they came out wrong, some dishes we ordered never came at all and, well, I already mentioned the pouring of the cava. Te brunch including cava costs 45€, so I expect a much better performance from the personnel. Otherwise the staff were very nice and attentive. Una copa de cava por favor! Imagine sitting on an ocean terrace in Barcelona. The sky is blue, you feel the warm salty breeze on your face and there is a cold glass of cava on its way to your table. I wish! It has been a hectic week and we have just been running around like headless chickens. Ok, relatively organized headless chickens. However, we have had meetings after meetings and tastings, while at the same time trying to balance the inflow of emails into the inbox. It has all been fun. But boy do I need the weekend after this trip. It feels almost like a blessing going home tomorrow. I do not have a lot of time to write this week, but I am compensating with some extra pictures from the city I love (and some from the vineyards of Sant Sadurni). Barcelona is a colourful rebel with quirky art, interesting architechture and an abundance of history. Looking forward to sharing more insight on bars and restaurants on Sunday!